Answer for Can You Escape Holidays Level 7 Walkthrough – Remember, never trust anybody when it’s April 1st! It’s April Fools, so everyone is joking. Anyway, those doors are open, there’s nothing to do here. Let’ go to the next one ! 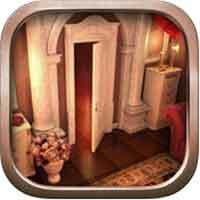 If you stuck then find out how to solve puzzle logic and code on this room below ! Don’t forget to look for gingerbread man cookie that hidden on this room before you escape ! This entry was posted in can you escape holidays on December 7, 2015 by 100doorssolution.